All her life, Beatrix Potter loved to paint. 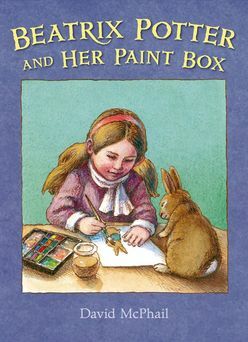 From a young age, she painted the bunnies, mice, and other pets who populated her family home. These became the characters of her stories, which are beloved the whole world over. With beautiful scenes rich in detail, David McPhail transports us to the charming English countryside and the wonderful world of Beatrix Potter. Discover the magic of Beatrix Potter's world in this beautiful picture book biography.